Whatever it is, you can do it! The only way to succeed is to first fail. If we don’t fail, how will we ever figure anything out? How will we ever know what works or what doesn’t work? How will we ever know what matters enough to not give up? Success is the result of failure or more likely a long string of failures. 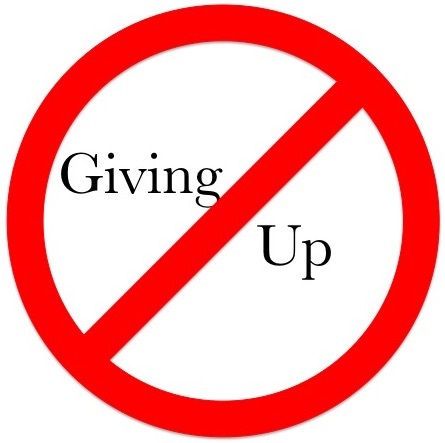 Giving up is the only failure that is permanent. If you stop writing, you’ll never know if you could write an entire book. If you stop drawing, you’ll never know if you could paint your dreams. If you stop acting, you’ll never know if you could do a one-woman show. If you stop working towards whatever it is you want to create—a wicked curve ball, a visionary design, a medical degree, a movie, a community—when it gets too hard or you get too scared you’ll fail or fear you are already failing, YOU WILL NEVER KNOW IF YOU COULD DO IT. If you keep going, keep trying, keep failing, keep getting back up, keep imagining, keep working, keep learning, keep creating, you can do some version of whatever it is you are setting out to do. Will you be Serena Williams? Will you be Toni Morrison? Will you be Meryl Streep? Will you be Steven King? Will you be Dr. Oz? Maybe. Maybe not. Perhaps you reach your ultimate goal. Perhaps you discover you want to do something else. Perhaps you teach what you learn. Perhaps you only ever have an audience of one. Perhaps you die trying. It is in the pursuit, the not giving up, where true discovery, true joy, and ultimately, true success in life happens.